I'm back in the conservatory today when I should, in fact, be at work. I am hugging a honey and lemon drink and trying not to cough as I type. I am not someone who misses work, and to have a week off is almost unprecedented. So, four weeks into term and my proud boast of a iron constistution rendered immune to all viruses by 14 years in the same school, is now proved useless. I also had to miss a much looked forward to event. I had booked tickets for the Henley Literary Festival to see one of my favourite authors, Patrick Gale. It was to be a self indulgent day off. I had envisaged catching the train to Henley, taking a coffee whilst reading a novel, going to the first talk and then lunching by myself , still reading! The pinnacle was to be the Patrick Gale session, but alas, not this year. My lovely hubby, has however been a star. Not of a naturally literary bent, he has agreed to come with me to a session on Sunday afternoon where we will hear from authors Mary Chamberlain and Michael Holroyd in conversation with Sue Cook. And from there we will have tea in the dragonfly tea tent before nipping off to the short story awards. Here, I have a confession to make. I am very excited. I entered the competition but with no expectation at all. To have heard I was long listed was amazing....to hear I had been shortlisted from over 1000 entrants to the final 6 actually made me dance for joy in my kitchen! I feel like a winner already as I had no thoughts of victory when I penned my tale, but nonetheless, I am terribly excited about attending the event on Sunday afternoon. Now back to reading. I have been remiss and find myself writing about 3 books at once, with a 4th about to be completed. This is because it is text transformation time at school. My students have to read a novel and then transform an aspect of the story into a different genre from the original. This is my favourite part of the course, as the students learn that they can indeed write well. Much of English is about analysis, but the creative process is just as important to the development of these young people. And so it is, at this time of year, that I am armed with books of their choice, (nicely and subtly guided by me, so I get to work with some of my favourites) and read frantically, so that I can best help them with their drafting. And so to Ian McEwan. 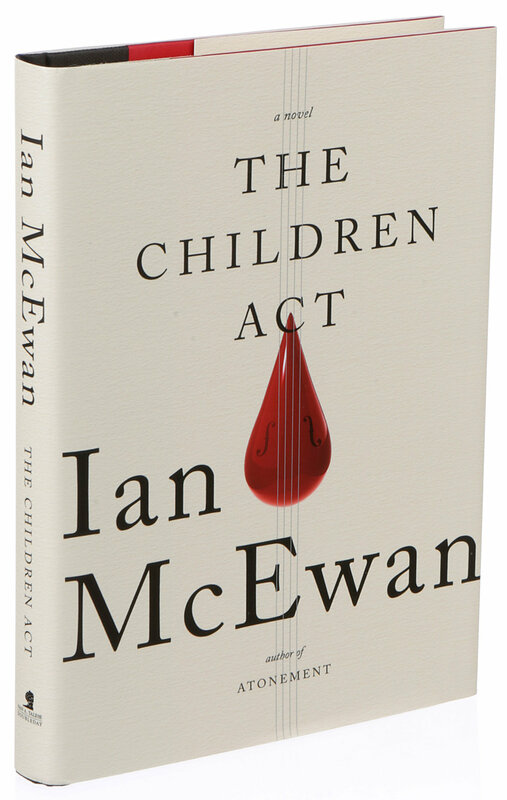 The Children Act is one of his shortest novels, but it is also one that tackles some of the most complex of moral and ethical areas. Fiona, a family court judge is faced with a case whereby a Jehovah's Witness needs a blood transfusion. The patient is nearly 18, but as he is not yet of age, Adam can be ruled by the court. Fiona meets him and a bond is formed. She recognises that he is nearly at the age of consent, but she, in his best interests, decides that although his faith is strong, she will overrule. The consequences of this decision are far reaching. Adam's subsequent idolatry of the judge is the key part of the plot. The narration is third person, but from Fiona's perspective, so we only get a partial view into Adam's life post transfusion. Her reactions reveal much about her, but the resolution is one from which she might never be able to fully recover. This is all set against the background of a marriage that is wobbling. He husband needs more of her and she is exhausted. Her work is consuming and important and she often has too little to give to him. As a result he is absent for the opening sections of the novel and Fiona makes some decisions that can be said to be out of character. As this resolves at the denouement, the reader is left more aware of the delicate balances in life, and the fragile axis around which we spin our daily lives. daughter, his son, his father-in-law and his aging mother. It was never going to be action packed, but it is a wonderfully written, beautiful reflection of a day and a man's thoughts in that day. Cleverly woven through is the plot, whereby Henry, a neurosurgeon has an altercation over a minor car scrape with an aggressive and defensive fellow driver. He recognises possible symptoms of motor neurone disease in the man's behaviour. His unlikely meeting with him that same evening is tense, dangerous and surprisingly credible! A good read which again highlights our humanity and our vulnerability in the modern world. Oh dear, doing three at a time makes for a long post. Well done if you're hanging in there! 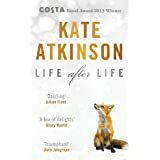 My final read is Kate Atkinson's Life after Life. As with the other two, this is a re-read. A note to all you bibliophiles out there; don't eschew a re-read. There is always more to discover if the book is well written. I re-read this with a view to reading the more recently published sequel. I felt I couldn't do the sequel credit if I hadn't revisited the first novel. It is stunning. Again, it is very clever. Atkinson follows a series of possibilities for a single life, and you are not entirely sure, which path Ursula takes of the many choices given. At its crudest level, it is a choose your own adventure for adults! It is however, far more than this. It is well written, the characters are convincing and the concept is original and well executed. Ursula Todd is born at the beginning of the twentieth century to an affluent and jolly family at Todd's Corner. In one scenario, she doesn't survive the birth. In its alternative, she is loved and has a raucous, English carefree upbringing, but there is always darkness lurking. In fact darkness is a symbol used throughout the book to denote death, "And darkness fell" is a repeated phrase to suggest a gentle end to the protagonist. But she is always resurrected into the alternative plot line. It sounds incredible, it sounds as though suspension of disbelief would be impossible, but that is the magic of the novel. The reader is absorbed into all the storylines as Ursula works in the Blitz to recover bodies and casualties, as she endures an abusive marriage, as she enjoys a luxurious affair and as she takes tea with Eva Braun in Hitler's mountain retreat! Incredible? Still unbelievably no! The protagonist is well constructed and evokes empathy. Next read is Jeeves and Wooster! Thanks for sharing my blog. 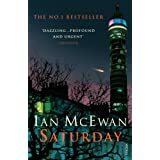 Loved this blog and looking forward to the McEwan books. And his exciting to be shortlisted!! Yay!